While we've certainly tried to target different species as of late, one guest always finds a way to make it to the party, the Longnose Gar. 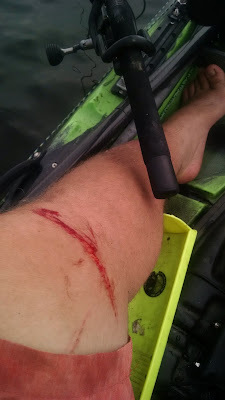 I have personally been on a mission to knock down a trophy class Channel Catfish over the past month, with some limited success, there's no real way to specifically target one species when fishing with live bait. Thus resulting in a lot of exciting, toothy by-catches. Recently, Grant and I have upgraded our personal bests for the Longnose Gar. My skinny 48 incher a few weeks back and a thick 43 inch fish for Grant this past Saturday. We managed three citations between the two of us and I am now just one trophy Gar away from "Expert Angler" status for the species. "Expert Angler" is a status dubbed by the VDGIF for any angler who catches and records ten or more trophy fish in one particular species. This will be my first "Expert Angler" in any species and I look forward to highlight it with the capture of a Gar 50 inches or greater. 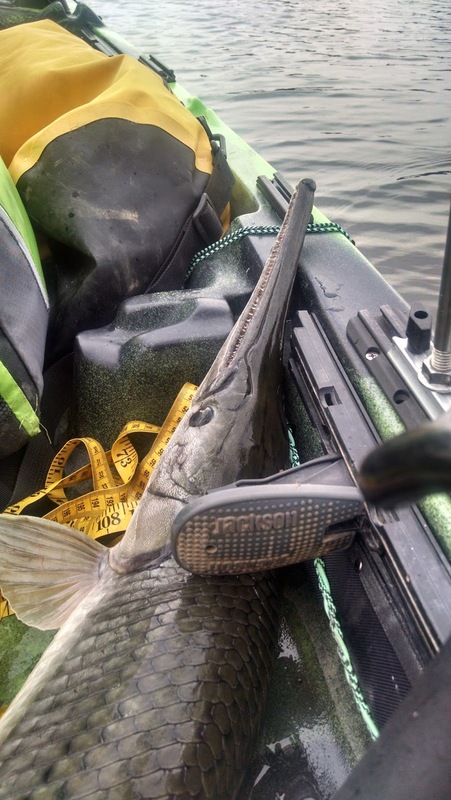 It would be a new personal best and an achievement Longnose Gar anglers everywhere put on their bucket lists. 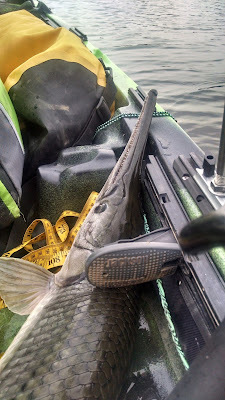 While we will continue to seek out different species one thing has become clear, it is definitely the year of the Gar. Which is undoubtedly fitting considering we're still planning on taking down another one of the Earth's biggest freshwater creatures again this August, the Alligator Gar.